Well, it’s time to paint the entire house once again, and, though you have a general idea of what colors would be perfect for each room, you decide to defer to your daughter about her choice of room color. After an exhausting perusal of online color charts, you have proudly winnowed it down to five gorgeous shades of pink and one lavender shade with pinky undertones. “So how do you like these honey?” you ask. The response to your query is “gross – I hate all of them!” and she stalks out of the room. Well, besides being sorry you even asked, and realizing now, though YOU adore pink, the only pink in your daughter’s room will be on an iPod by the singer Pink, you return to the color charts once again while grumbling that you never got an opinion on your room color growing up. Today’s modern girls, whether they are preteens or teenagers, have a different view of the world than when you at their age. 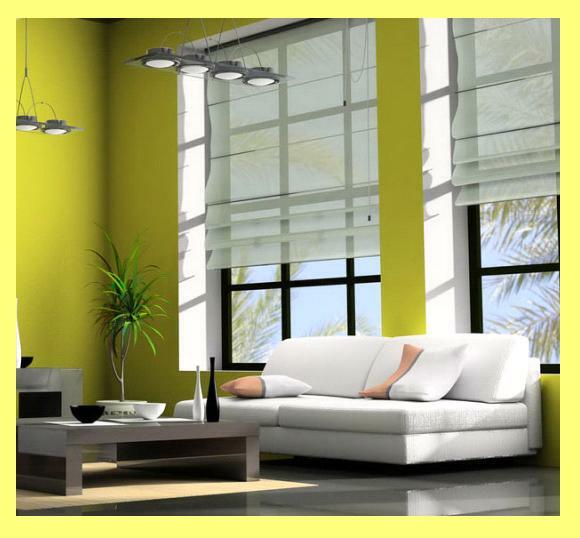 It is no longer all about pinky frills and frou frou and Priscillas adorning the windows, but more modern wall colors and shades or blinds to let the natural light shine into their exclusive domain. Pink made her debut 15 years ago with her album “Can’t Take Me Home”… well, as long as this is your daughter’s home too, and, to keep peace in the family without resorting to an extreme-looking room, let’s look at trending girls’ room colors excluding pink, shall we? Whether your daughter is very young or a preteen/teenager, today’s youngsters are all about electronics. While years ago young girls may have lined their bureau or dresser tops with dolls or stuffed animals, today’s youngsters are more apt to fill up all available space with their electronics. So, do you choose a streamlined and very trendy look when redecorating and repainting the room or go with a bright and bold palette or subdued shades? 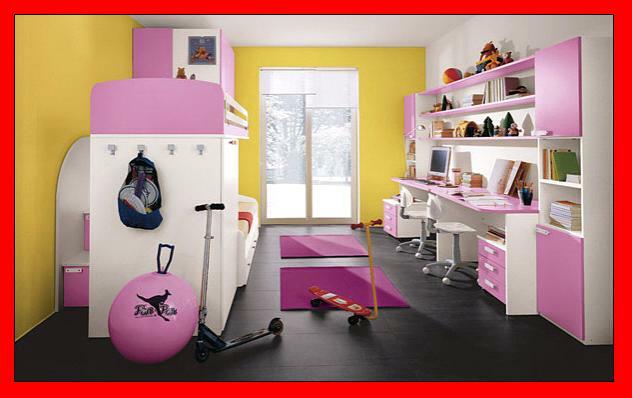 You could definitely choose the bold and vibrant touch for a girl’s room. In fact, using a theme of the colors of the rainbow, make it easy to create a look that is sure to please. Feel free to go a little bold on the wall colors, because, after all, it is just paint and if you both tire of this look in a few years, you know that you often have to repaint due to smudges and scuffs and to freshen up anyway, so why not try something different? If you choose a colors-of-the-rainbow theme, you could use a strong palette of colors, like a lime-green wall, and accessorize with sunny yellow curtains and spread. From there, your accessories can take any color of the rainbow to complete the color theme. Rather than spoil the colorful effect with dark-toned furniture, to create a fun and almost-Summery look in your girl’s room, use bright-white furniture to help soften that bolder look. Look for accessories in bright tones like raspberry, tangerine or peacock blue to liven things up. Though it sometimes seems there is never a dull moment or lack of drama in the life of a preteen or teenaged girl, if the rainbow-of-colors theme is not your shtick, then why not try some of these ideas? Delight her with decals if you willing to try a toned-down wall color with an inviting feminine color like lavender or powder blue and emblazon those walls with decals in your daughter’s favorite hobby or idol? This is a trendy look right now and what better way to make her happy than to see her hobbies or heartthrobs marching around the perimeter of the room the last thing before she shuts her eyes at night. Sherbets are not just something to cool you off in the summertime. What modern girl wouldn’t like to see her bedroom in an eclectic sherbet-color combo like pumpkin walls, electric blue and cerise? To infuse some girl appeal add flower power reminiscent of the 70s like big and bold painted flowers or decals on the walls with matching flowery curtains and spread. These aren’t the flowery curtains or spreads that you remember growing up, because now every color flavor and type of flower you can imagine help keep this room bold and inviting. Square? Not in this room. To vary a large room’s wall color, a trendy look is to paint the walls a pale color like peach, and then on the walls mark off varying sizes of squared areas with painters tape, then fill in the “squares” with bright and bold colors giving the room a color-block look. It is easy to stray from that dreaded pink but add interest to the room with colors that pop, and accessorizing the room after the paint project is done will be very easy too. Sage works well for advice and color-wise too in a young girl’s room. Sage is an excellent choice for wall color and you might consider using it for three walls and then creating a focal wall, such as behind the headboard, in a softer-tone, like lavender, or sneaking in a muted pink like soft rose, which hardly resembles the dreaded pinky-pink you are seeking to avoid. Sage also works for words of wisdom – young girls often pick a favorite quote and use that as their life motto. Perhaps you know that favorite saying or quote and could memorialize it on a wall in the room. There will always be the traditionally favorite colors for girls such as the shades of purples, blues, greens and whites. You may wish to rule the roost on deciding the ultimate color but if you are agreeable to trying a trendier look, the most-popular preteen/teen trendy looks continue to be oceanic hues, or, as mentioned above such bold colors as bright pink, orange, lime green, or yellow. It would be a fun joint project to pick colors and room designs with your daughter, then be sure to consult with a painting contractor in NJ to get that paint on the wall post haste and the rest of the redecorating job done pronto!